“Dorset is Beautiful” were words written by Bob Gale of Beaminster and performed as a song by the popular Dorset folk band called the Yetties back in the 1970s; Dorset was beautiful back then, and it still is today. 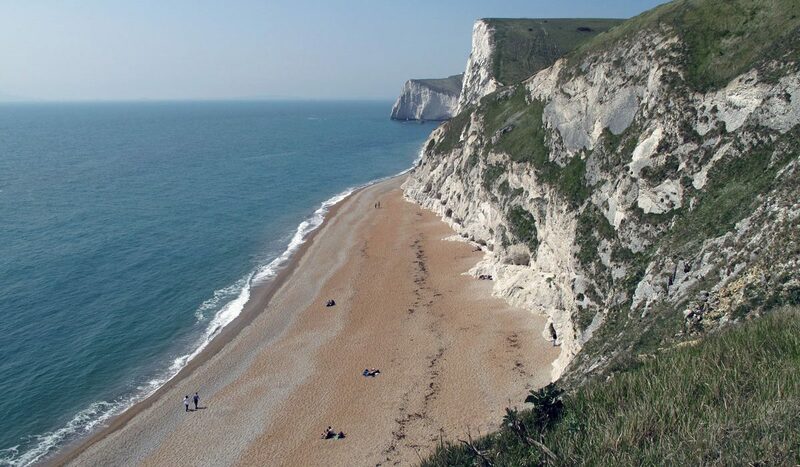 The rolling chalk hills of Thomas Hardy country, the lovely Isle of Purbeck and the fascinating Jurassic Coast are all ingredients that make up this fabulous county. Much of it is rural, with half of the county designated an ‘Area of Outstanding Natural Beauty’ (AONB). The biggest conurbation lies in the south-east with the Bournemouth, Christchurch and Poole area accounting for half of Dorset’s population, but even here the main industry is tourism. The only other settlement of any significant size is the holiday resort of Weymouth and its neighbour Portland. The rest of the county’s population is largely made up of small market towns, the chief one being Dorchester, Dorset’s county town. Most visitors will head to the coast, where natural features like Lulworth Cove and Durdle Door can match anything else that the south coast can offer, but people also come along here, particularly the western coast, to hunt for fossils where Mary Anning’s important discoveries changed scientists’ thinking about the world’s prehistoric beginnings.